Siblings fight, right? That is to be expected. The question is, how much is normal, and when has the fighting gone too far? The even bigger question, as a parent, is how much should you allow because it is “normal” and at what point should you step in and mitigate. 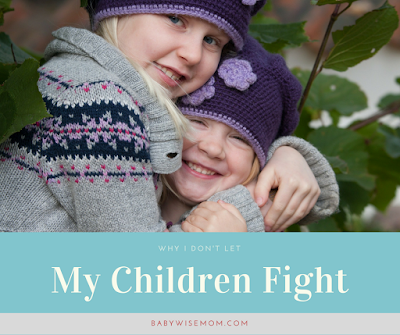 With my children, I simply don’t allow full-on fighting. I treat any fight between my children as I would between my child and a friend who was at our house to play. I just don’t allow it. Disagreements? Yes. Fighting? No. Differences of opinion? Absolutely! Name calling? No. Physical aggression? No. “I’m not your best sister anymore.” Nope. Living with people really highlights how annoying they can be. That’s why when people get married and the honeymoon phase wears off, they start to find little things annoying. That is why staying in close quarters for a long family reunion can wear patience thin. That is why there is a stereotype about family fights at holidays. It is normal to have less patience with people you are constantly around. But that doesn’t mean we should just let our tempers loose on each other. Just because it is “normal” to have less patience doesn’t give us the right to be unkind toward others. We have had the same private swim teacher for over 5 years. For most of those years, she has taught my children year round. A week ago, she commented to me that Katilyn and McKenna were bickering during the lesson that day and she had never seen my kids fight before. I love that it took 5.5 years for her to witness my children fighting! I fully believe that my requirement to have my children make an effort to get along has led to them rarely fighting. This doesn’t mean they always agree or that there are always sunshine and roses at our house. In fact, as I write this, I can hear McKenna and Brinley discussing who gets to be which character in a game they are playing. They are both frustrated and upset as they discuss. There is no yelling, however. There are no tears. There is no hitting and no declarations that the friendship or sisterhood is over. Those things sometimes happen, and when they do, I step in. But so long as it is a discussion, even if they are both feeling emotional about it and it gets heated, I will not step in. I allow them to practice and learn conflict resolution. Those are skills they need in life. I have no problem with conflict or differences of opinion in our home. I have a problem with them practicing how to resolve conflict in unhealthy ways. When things get overly heated and my children get to a point of real fighting, I step in. I help them talk through the issues. I help them work to see the point of view of the other person. I explain why the tactics used were not kind nor appropriate. I work with them to learn appropriate conflict resolution skills. I expect those skills to be used not just out in public, but also at home. If my children can learn to be kind and gracious toward their siblings then they will be able to extend the same kindness and grace to the world at large. It is often said that we treat our family, the people who live with us, the worst. We put our best face out for the world to see and give our family the leftovers. I don’t want that for my family. I want us putting our best face toward everyone. I want our faces in public and at home to all be genuine. I want our kindness outside of our home to be the same kindness we practice inside our home. I also want my children to be fully comfortable expressing how they feel and what they think. This is a skill that can be done respectfully. To disagree does not mean to fight. It doesn’t mean insult or name-call. Can you imagine how the world, and especially Internet, might look if people out there believed and practiced that? If they were able to express their opinions and thoughts, and do it in a way that was kind and respectful toward others? We cannot hope for a kind society without cultivating that in our homes first. It all starts with our individual families. We, the parents, must teach our children these skills. It starts at home and it starts with us. If you would like some concrete ideas for how to respond when your kids fight (because they will! 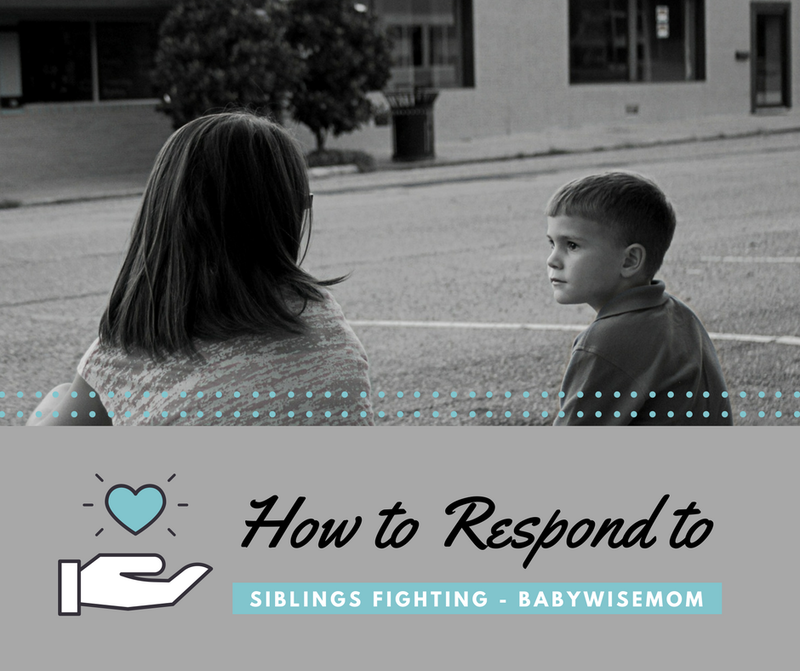 ), read How to Respond to Siblings Fighting. 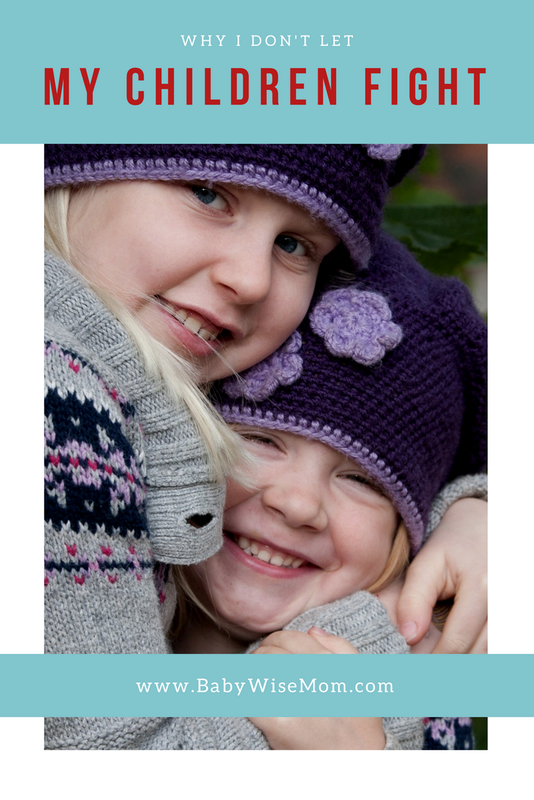 If you are having trouble with siblings living harmoniously, see my problem solving in The Perfect Hugging Policy for Siblings.